You’ve mastered the core Dixit game. You have no problem concocting the perfect riddle of a sentence that only one other person in the room will understand. You drop a tiny hint in each one, leading a single player to find your card. There’s just one problem! You’ve played the game so much that you know each card like the back of your hand. It’s getting a little TOO easy for you. Well then, we have the perfect solution for you! 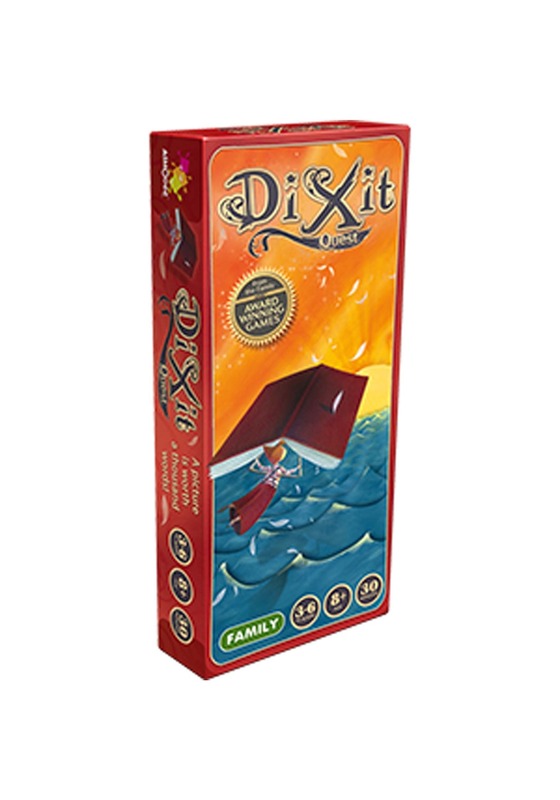 Just add this Dixit: Quest game expansion pack to your classic game. This Dixit expansion pack adds a whopping 84 new cards to the original game. Each card has a brand-new, beautiful illustration on it, which is perfect for exercising your bustling imagination. Just shuffle any number of them into your original Dixit deck to add a new spin to your gameplay. Now, we must point out that you do need the core version of the game to make use of this expansion pack. If you don’t already have it, be sure to pick it up! If you fancy yourself to be the true Dixit master, then this expansion pack is a great way to flex your sentence building prowess!